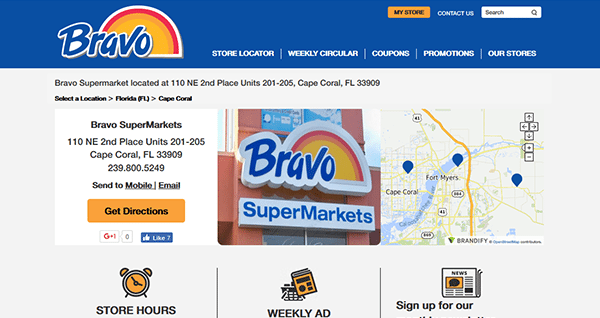 Read the guide posted on this page to learn how to find a location in your area, and learn how to submit the Bravo Supermarkets job application (to apply for current job openings in your area). Scroll down the page to view the instructions. 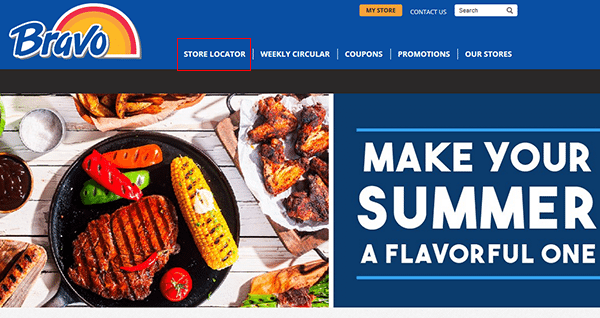 About the Company: Bravo Supermarkets is an American chain of supermarkets based out of New York City. The company operates numerous locations throughout the States of Connecticut, Florida, Massachusetts, New Jersey, New York, Pennsylvania, and Rhode Island. Bravo owns/operates more than 70 locations (spanning across all of the aforementioned states). Step 1 – The first step to finding a location in your area is to go to the company’s homepage. 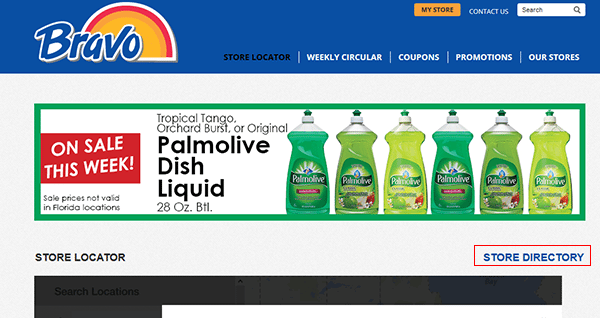 Click this link to open the company’s homepage in a new window/tab (within your current web browser). 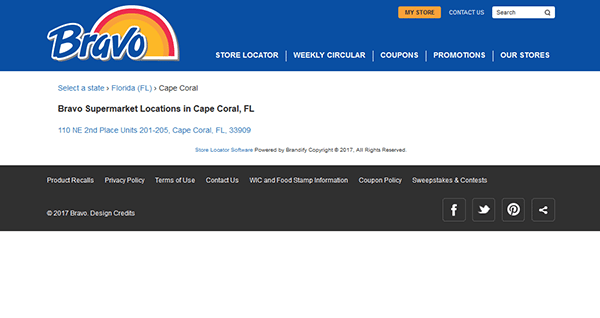 Step 2 – Once you’re on the homepage press the “Store Locator” link as outlined in red in the below screenshot. 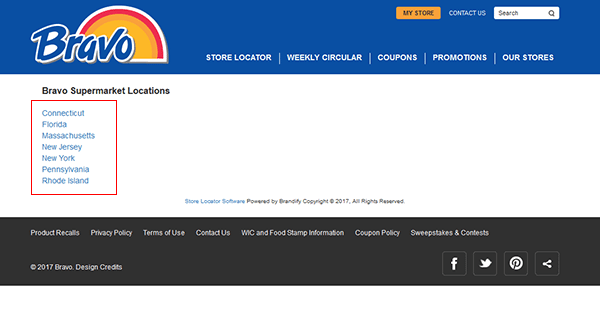 Step 3 – On the store locator page click the “Store Directory” link as shown in the below image. Step 4 – Select your location from the list of options. Step 5 – Select your city/town from the list of links (click the appropriate link). Step 6 – Click the link of the specific location that you want the contact details for. Step 7 – If the location has a phone number listed call it during business hours and ask to speak to a manager regarding current job openings. Some locations may have an email address that you can also use to inquire about current openings. 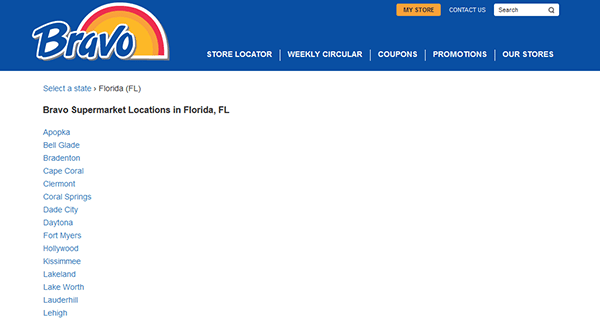 Note: Review the “Store Hours” section on the page so you know when the store is open for business.